Chi Anh Tran has over 14 years of experience in legal practice in Vietnam. 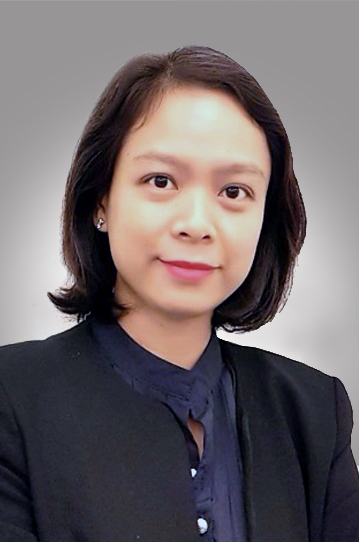 Before joining Rajah & Tann LCT Lawyers in January 2018, she was Special Counsel at Baker McKenzie Vietnam, leading the firm’s Dispute Resolution – Compliance – Competition team in Ho Chi Minh City. Chi Anh Tran is a recognised specialist in arbitration, corporate compliance and competition law in Vietnam and has spoken at several Vietnamese and international conferences hosted by Vietnam International Arbitration Center, Hong Kong International Arbitration Center, Vietnam Competition Authority, Young ICCA, Dow Jones, and business associations. Provision of legal advice to an international media company and representing the client in a competition case relating to allegations of abuse of dominance at the Vietnam’s Competition Authority. Provision of legal advice to an international beverages company and representing the client in the very first competition case relating to allegations of abuse of dominance at the Vietnam’s Competition Authority. Assisting multi-national clients in various industries (e.g., banking, automobile, pharmaceutical, manufacturing) in conducting competition audits at their Vietnam subsidiaries; drafting, reviewing and advising on internal competition policies; providing competition trainings to management and staff of these companies. Provision of opinions and technical assistance as an external expert to Vietnam Competition Authority on the enforcement of Competition Law and on their proposals of new regulations and guidelines to implement the Competition Law. Assisting clients in drafting the company competition guidelines and providing competition law trainings. Assisting clients from different industries in drafting and reviewing commercial contracts and distribution contracts for potential competition, dispute resolution and liability issues. Advising and assisting multi-national clients in conducting compliance reviews and internal audits under Vietnam's anti-corruption laws and the US FCPA. Assisting clients in establishing and implementing post-acquisition compliance integration plans; provision of legal advice and assisting clients in conducting compliance due diligence on third party contractors as well as on target companies in M&A transactions. Assisting a major international agricultural company in defending against allegations of unfair competition from a Vietnamese authority. Provision of legal advice and drafting anti-corruption guidelines and policies for the Vietnamese operation of multinational companies; provision of compliance trainings to management and employees of multinational companies. Provision of legal advice and assistance to clients in defending against inspections (with respect to operations, tax and customs, etc.) conducted by state authorities. Provision of legal advice and assistance to an international construction company in resolving disputes regarding insurance claims at a Vietnamese court. Provision of legal advice to a Japanese consumer goods company in resolving a dispute with its local distributor; representing the client in an arbitration case; assisting client in seeking court’s order for interim relief during the arbitration case. Provision of legal advice to a foreign machinery company on the enforcement of a foreign arbitral award in Vietnam; representing the client in the court procedures for the recognition and enforcement of a foreign arbitral award.